It’s not like us to brag, but our 10 golf courses are special. Practice your swing, caddy up for a full 18 or sit back and relax on the 19th. There’s a course for every player. 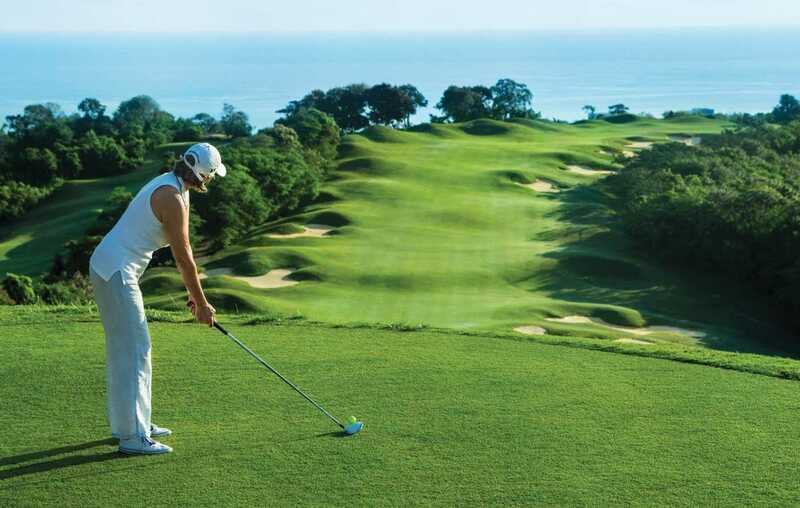 Jamaica is the home of the most exciting and spectacular golf courses. The courses are created in harmony with the sweeping landscape, challenging each golfer’s skill from mountains to shorelines to historic monuments with magnificent vistas in between. Each golf course with its unique terrain - dramatic elevations, sloping fairways, strategically placed bunkers, and lush greenery – makes for distinctive signature holes that have served to both taunt and inspire professional and amateurs to return again and again. A professional support team is at the heart of the true Jamaican golf experience. The caddies, coaches and support staff all want to see you bring, and achieve, your “A”-game. Each masterful stroke complemented by the beauty of the course makes for a truly exhilarating experience.